Gamers in Canada that pass over All Slots casino because they think that it only has slot machines will be making a big mistake. Although there are plenty of slot machines at this online casino, there are also plenty of other games that can be found also. The casino is licensed to operate by the Maltese Lotteries and Gaming Authority. They are a part of the Jackpot Fantasy group of casinos. Their commitment to fair, safe, secure and responsible gaming has earned All Slots the prestigious eCogra seal of approval. The combination of great games, fair play and some nice bonuses and promotions combine to make All Slots a great destination for anyone in Canada that is looking for the right online casino. All Slots relies on the software that comes from Microgaming. Microgaming is the developer of some of the most popular games and some of the best casino software in use today. When it comes to slots, this casino lives up to its name. Popular slots such as The Dark Knight, Avalon, Thunderstruck and many others can be found among the more than 500 games that are offered. The long list of titles includes the most recent and some of the best classic slot machines and includes all types of slots. Video slots, progressive slots and traditional reeled slots are all at this casino. Table games are not an afterthought. In addition to blackjack, baccarat, craps, roulette, and Texas Hold’em, players will also find casino favorites that include Sic Bo and Casino War. For people looking for other casino games, scratch cards, keno and bingo are also available. Players can choose from three different versions of the casino. A downloaded version, flash player version and mobile version can all let a player gain access to their member account and play the games they want. That means that the Canadian players can enter the casino on any device they have, anywhere they are at the time. The first thing that new members to All Slots get is $1600 in welcome bonus. There are some restrictions about how the money can be used or withdrawn, but it is free money to play the games at the casino. 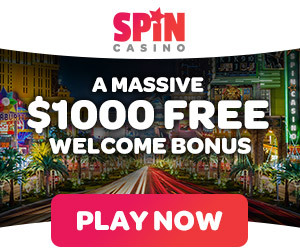 In addition to the no strings attached money, players can also earn as much as $1600 in matching deposits when they first join the casino wand 100 free spins. Get 100% up to $250 on your first deposit, 50% up to $250 in second deposit, 50% up to $500 in third deposit and 50% up to $600 in fourth deposit. Returning members tot the casino are taken care of as well. They can earn as much as $5,000 in matching deposits over the course of the year. They will also earn comp points every time they sign into their account and play the games. These comp points can be redeemed for things such as casino cash and entry into some of the tournaments that are being held. All banking transactions at All Slots are done through safe and secure connections and can be done in Canadian dollars. Acceptable deposit methods include Visa, MasterCard, Neteller, Skrill, and UKash. All withdrawals are processed in a timely fashion. Customer support is always available. Live chat operators are on duty 24/7. Help is also available through email and a toll free phone number.